I wish I had my mother or father with me, Nandi thought, weeping in the corner of the room. They would have never allowed anybody to beat me like that. Nandi had never known his real parents. His adoptive parents treated him like a servant, forcing him to do all the household chores and beating him if he failed to meet their expectations. If he called them mother and father, they got angry. “You are not our child,” they’d say. When Manjulika woke up one morning, her mother was gone. Later, Manjulika and her sisters got word she had died in the hospital, and their world changed. From then on, Manjulika would have to mother her younger sisters. Their father worked long hours as a rickshaw driver, and he would come home drunk. Sometimes he beat his children. As Manjulika took care of her younger sisters, her heart ached remembering all her mother had done for them. Her father, who had no love to give his children, let the government take them to a GFA World home for at-risk girls. Nandi decided to run away from his abusive home and boarded a train to a big city. But in a matter of months, he ended up in forced begging. Nandi begged along the roadside all day, and at nighttime a man took all of his earnings and gave him a little food. Fed up with this routine, Nandi told the man he wouldn’t beg anymore. Furious, the man beat Nandi. The next morning, when Nandi again refused to beg, the man beat another boy in front of him. His will broken by fear, Nandi obeyed. It wasn’t until a few months later that an accident led to Nandi’s rescue. As he was crossing the street one night, a car ran over his foot. A police officer rushed to the injured boy and had him taken to a hospital. Nandi stayed in the hospital for more than six months recuperating. A woman visited him and asked if he wanted to go to a children’s home. “No, I don’t want to go anywhere,” Nandi said, scared of new people and places. But seeing her kindness, Nandi reconsidered, and the woman brought him to GFA World’s home for abandoned and runaway boys. When Manjulika walked into GFA World’s home for abandoned girls, she entered a place where she would receive love and care—she wouldn’t have to be the sole caregiver for her younger siblings. The staff gave them all they needed: food, school supplies and clothes. And as the staff tenderly cared for the girls, Manjulika and her sisters began to experience a kind of love they had long missed. Whenever Manjulika got sick, the staff sat with her and helped her eat food. When her birthday rolled around, the women at the home planned a special celebration for her. This was the first time Manjulika had ever had a birthday party. The staff even enrolled her in a good school, and whenever she had questions about her schoolwork, they helped her. For Nandi, entering a children’s home was more difficult. During the first few days there, the new faces and the structured lifestyle overwhelmed him, and he broke down in tears. But the staff members comforted him. “Don’t worry, because we are here like your mother and father,” they told him. At the time, Nandi couldn’t move much because he was still recovering from his operation, so the women at the home brought him food and medicine. The staff’s genuine concern touched Nandi’s heart. Maybe a mother or father would do the same things these sisters are doing, he thought. Today, Nandi’s and Manjulika’s lives look dramatically different than what they did a few years ago. No longer chained to a life of begging on the streets, Nandi is receiving a good education at a local school and experiencing Jesus’ love from the staff at the children’s home. In the future, he wants to serve Jesus by singing. “I can see a light in the days to come,” he says. Manjulika also has a dream for the future: She wants to teach children what she’s learned. The most important thing Manjulika can share isn’t from a schoolbook, though. At GFA World’s children’s homes, God is restoring many children’s lives through the love of staff members who treat them as a mother treats her children. Best of all, these boys and girls are coming to know the love of their Father in heaven. 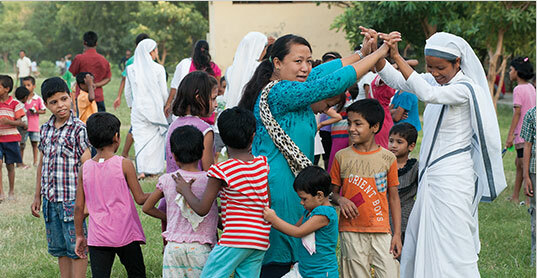 Learn more about our Street Children Ministry. At the children’s home supported by GFA World, the children are so loved and cared for that they feel as if they are all family. 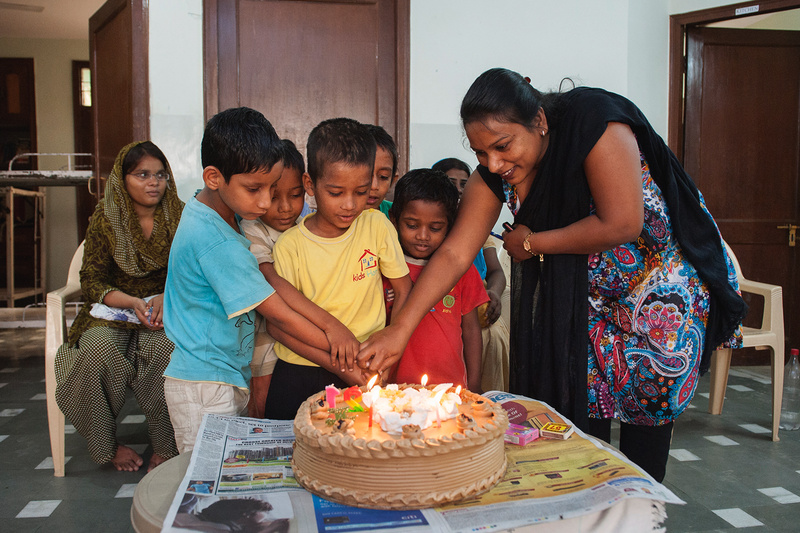 Whenever one of the children has a birthday, the staff members at the homes make sure there is a celebration. Some of the girls and boys had never celebrated their birthdays before coming to the homes. Here Nandi reads an illustrated booklet with one of the other boys in the home. 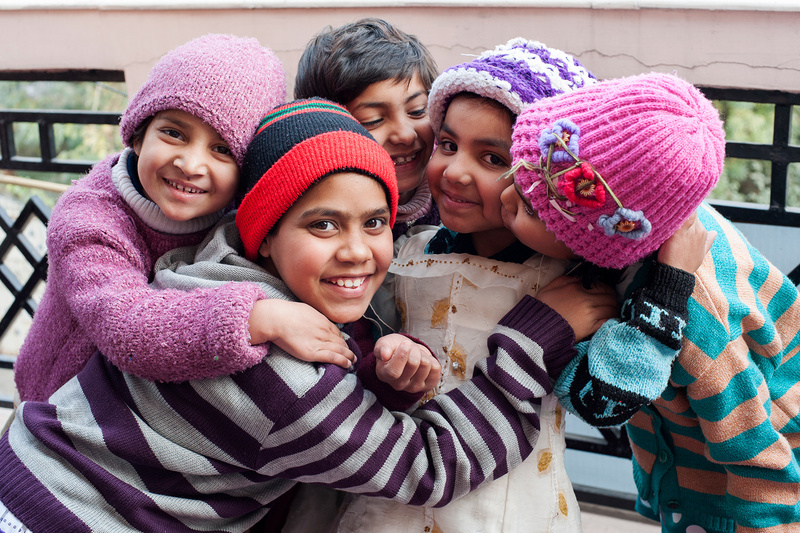 The children at these homes live as one family: playing together, studying together and caring for one another. They share their toys and comic books with each other during their leisure time. The Sisters of Compassion who serve in the homes are like mothers to the children. They take care of them and provide for their needs—and that means making sure they have clean clothes! The children and the Sisters share special moments of laughter and bonding as they go about their day-to-day chores. All the children know they are loved by the staff and by the other children. Almost every weekend, the children are taken to a park where they enjoy playing soccer, jump rope, badminton, frisbee and other games. 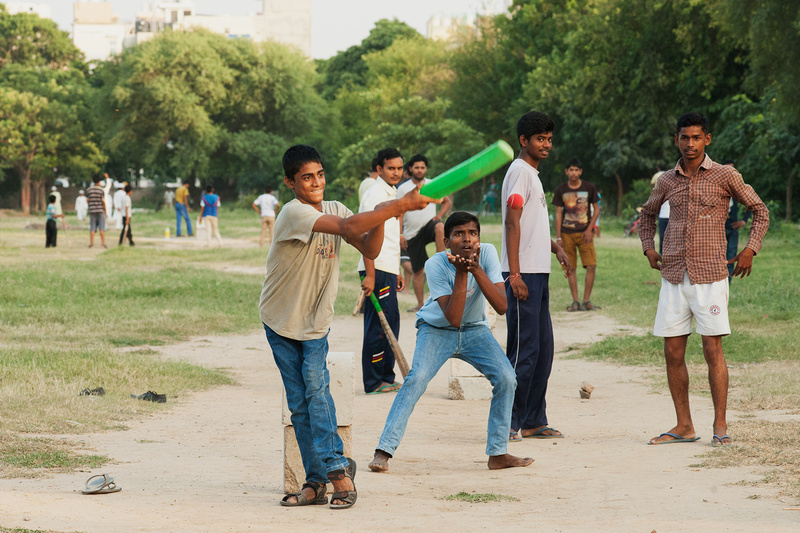 Here Nandi and some other young men play a game of cricket. 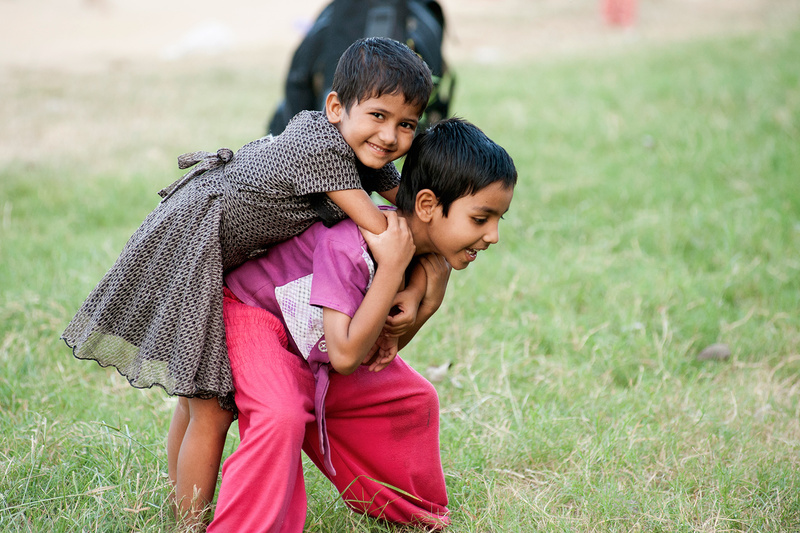 The children especially enjoy the time they get to spend playing with each other. 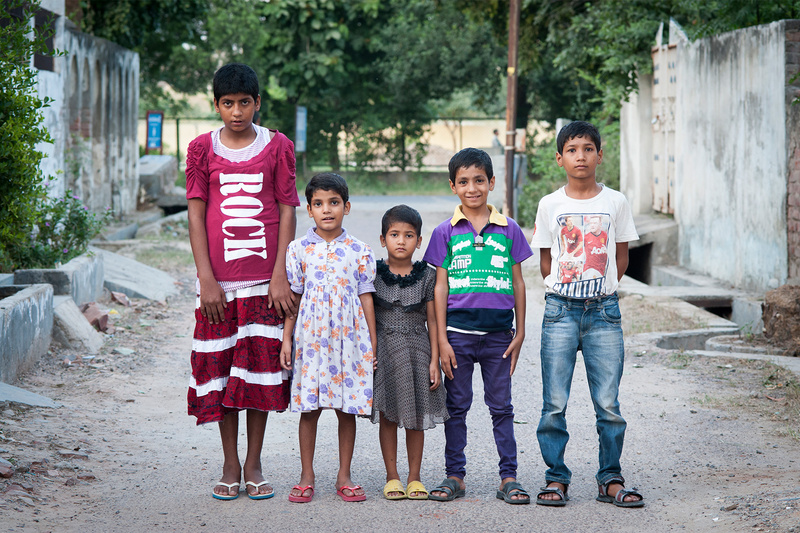 Currently, around nine sets of siblings live in the boys’ home and girls’ home that GFA World supports. Some of these children are orphans, while others may have one parent who has given up their rights for parental care. At the homes, the staff shows these children the love and care they missed from their earthly parents—and the children also discover the love of their heavenly Father. A young boy and girl find refuge at GFA World’s children’s homes. Read Story. A pastor sees the struggles of the people in his village and helps make their lives better. Read Story. Meet three GFA World Bridge of Hope staff members, and learn about their love for the children they serve. Read Story. GFA World’s School of Discipleship celebrates 10 years of young men and women giving a year of their lives to pursue the Lord. Read Story. 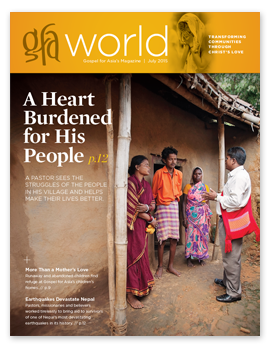 View All Departments from this issue of GFA World.